Note: Today’s session comes from an “Original Old-School” training WOD from CrossFit HQ, circa 2005. The Athlete can switch hands on the Push-Press as needed, but must accumulate a total of 15 reps on each arm. Congratulations to Lydia who was recognized as Athlete Of The Week at CrossFit Amundson. 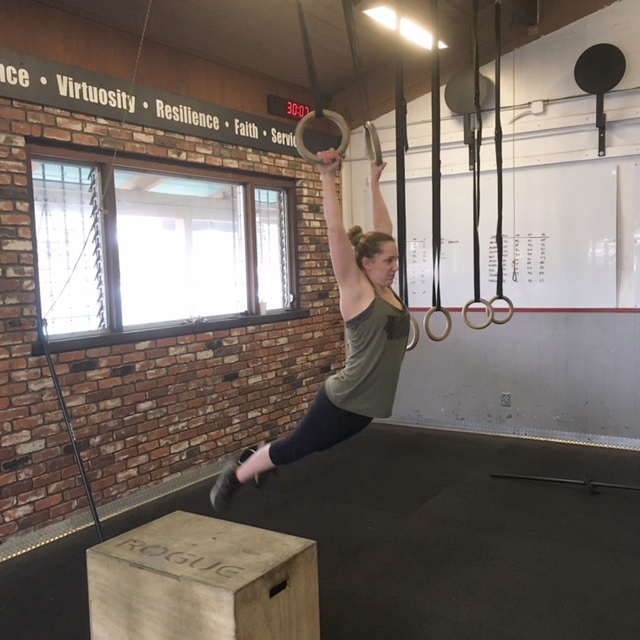 Lydia is in her third year of training at CrossFit Amundson, and is continuing to make incredible improvements on a regular basis. Most recently, Lydia has started to learn the fundamentals of boxing by attending the Bag Class, and she is on a mission to improve her gymnastics, with a long term goal of achieving her first Muscle-up. Lydia is a regular attendee at Danny’s Friday night Gymnastics Class, where her attention to detail and determination are absolutely awesome to behold. In addition to her physical capacity, Lydia has a constant smile on her face, and kind word to offer her fellow Athletes. Congratulations Lydia, and keep up the inspiring work!